"Like Us" on Facebook and pass the site onto your friends! We have some photos from the event now hosted over on our facebook page. Go check 'em out! And see if you're pictured! We'll be adding more as we get them. 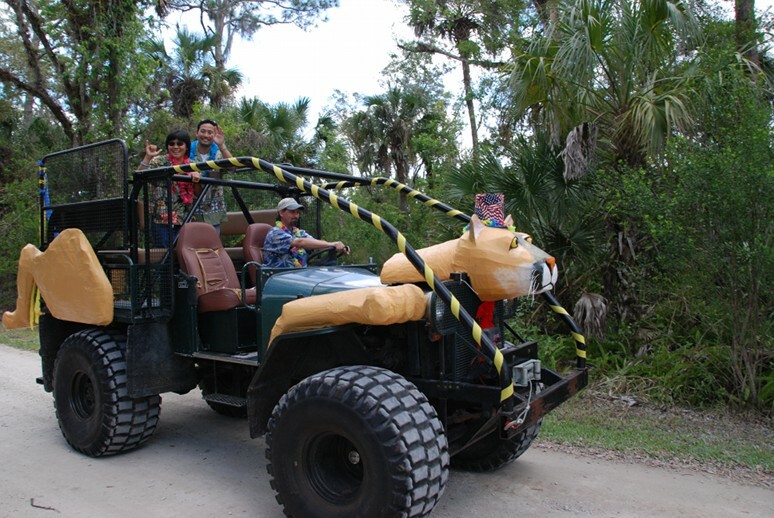 The First Annual Florida Panther Festival was spectacular! Thank you to everyone who was involved! We had a fantastic turn out, and we hope to see you (and all your friends, of course) at the Second Annual Florida Panther Festival next year! Rain isn't as scary as all the rest of those Halloween goblins and ghouls! For those of you wary of the weather, never fear; the majority of the festival will be indoors or under cover! We'll be there, and we hope you are too! Sandy Mickey, Park Ranger at the Florida Panther National Wildlife Refuge, and chair of the Festival Steering Committee, was interviewed by WSKY-Gainsville about the Florida Panther Festival! We have a full schedule of events for Saturday on the Festival Information page. Also, take a look at more fun stuff we have to offer at the festival! This upcoming Saturday has been officially proclaimed Florida Panther Festival Day by the Collier County Board of County Commissioners! If you need a place to stay during the Festival weekend, take a look at these deals from local hotels! Area residents are invited to public workshop to learn about living with wildlife, including Florida panthers. Look out for these new flyers around town! Download one of your own! Hey everyone, we've already got a great list of exhibitors booked for the festival. We'll be adding to it as more sign up. Go take a look and see who else is going to be there! 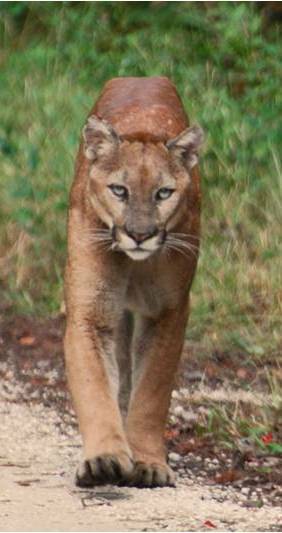 The Florida Panther National Wildlife Refuge field trip is full! Still plenty of room on our other great trips. Check them out. The field trip to Big Cypress National Preserve has been filled! The field trips are filling up fast, so be sure to get your name on the list for your field trip of choice! Field trips are on Friday, October 28th, the day before the Florida Panther Festival. We've been tracking the movements of a very unique creature! Given its current pattern of movement, it appears that it will be in the vicinity of North Collier Regional Park around the time of the Festival. This photo was taken the last time it was sighted in the region. Keep your eyes open! We are thrilled to announce that both Russ Morrison with Frontline Bluegrass and the BugTussle Ramblers will be playing live music at the Florida Panther Festival! Come listen to some great live bluegrass music by these two bands while you enjoy the rest the Festival has to offer! Would you or your organization like to support Florida panther conservation and education in Southwest Florida? Support the Florida Panther Festival - a multi-partner effort to expand Florida panther awareness and support in our community. Sponsorship opportunities start at just $100 and are tax deductible! For more information, click here or visit the Get Involved tab at the top of the page.